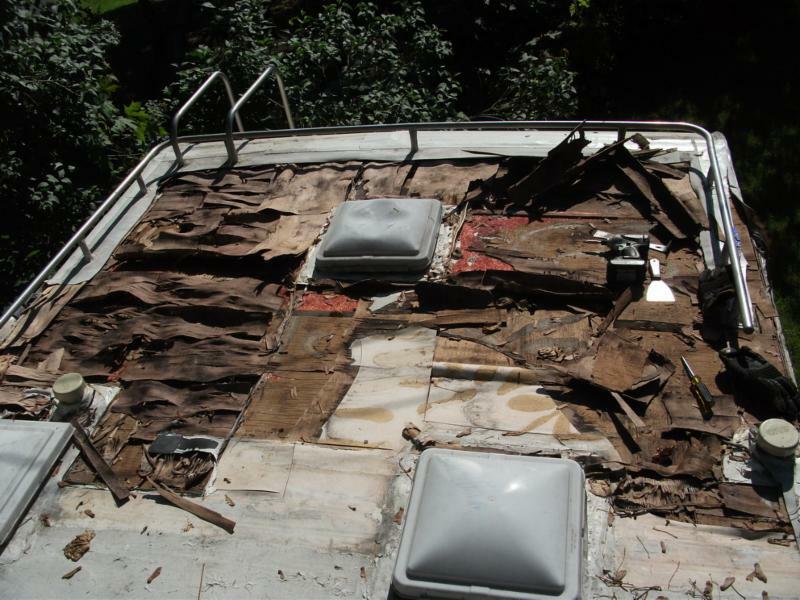 Like RV axles, RV roofs take a terrible beating when you drive down a country road at sixty miles an hour in a rain storm; but what I've learned from the thousands of comments that you sent to us during the last decade, is that most roof failures surface not long after the warranty expired. The reason for so many failures in roofs is not because of the lack of technological advances, but because of the age-old problem of poor workmanship. By studying photographs -- often accompanied by professional appraisals -- it becomes clear that cutting corners by the manufacturer is the culprit. 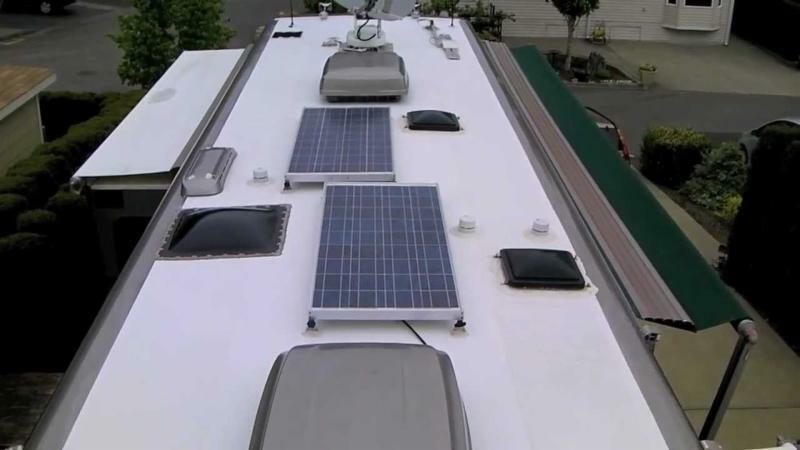 Historically, the most trouble-free roofs for both motor homes and trailers has been the fiberglass cap (which is still popular) and the segmented aluminum roof that left us back in the seventies but many of which are still functioning today. Special roofs like the Airstream's continuous aluminum, Lazy Daze's flat one-piece aircraft aluminum roof, and Casita's and Bigfoot's molded half-body roofs have, for the most part, been trouble-free. Trouble began with the thin one-piece aluminum roof that has been, and still is, a seeper of water that rots anything made of wood. 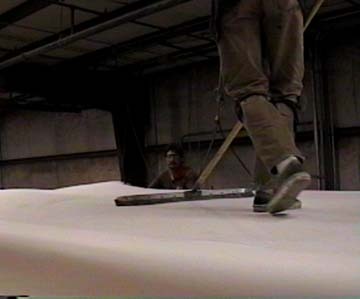 Then along came the EPDM roof that appeared to work well with manufacturers who had good standards for workmanship and quality control; but the roof had so many problems that the chemists went back to the mixing bowls and came up with a new mix of chemicals and called it ThermoPlastic Olefin or TPO. 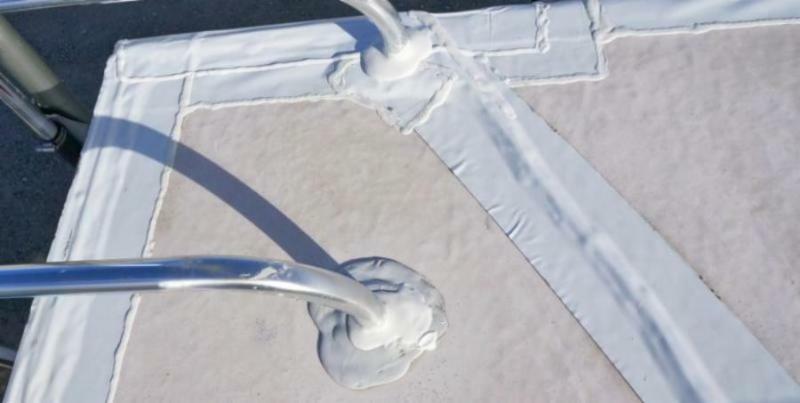 According to Wikipedia, "TPO is similar to EPDM, using a similar backing and waterproof material but coating the surface with a smooth and shiny white coating. 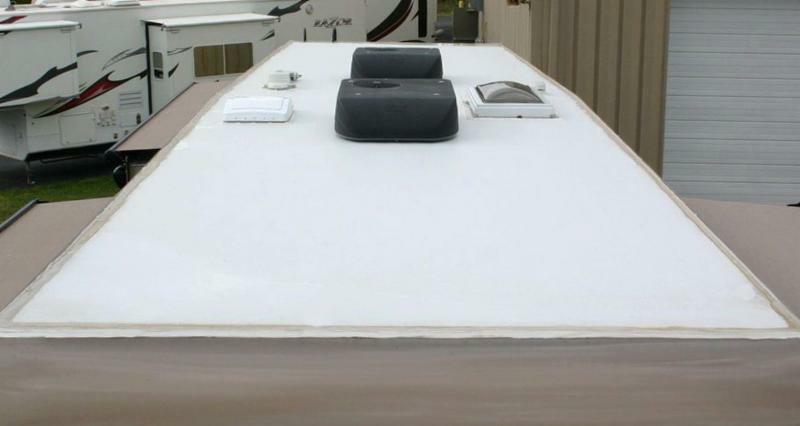 When new, people often mistake it for fiberglass because of the shiny appearance, but upon closer examination EPDM can be seen to be a coated fabric rather than a hard plastic. It is usually laid in one continuous sheet from front to back. 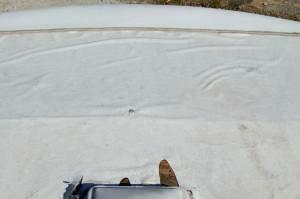 Britek is a major brand name of RV TPO roofing and is also a Dicor product." As we show in our photo story, the problem with TPO isn't the product, it's the application. And if you believe in patterns, we have found that TPO failures usually occur in those brands that RV Consumer Group rates as two stars and lower. Although it can happen in higher rated RVs, the risk of failure is much lower with RVs rated three stars and higher. 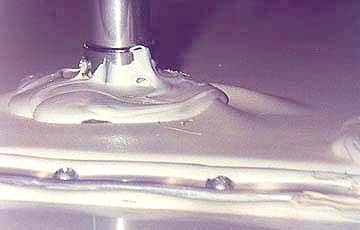 One thing is for sure, our own study shows that repairing these failures is expensive when they happen after the standard one-year manufacturer warranty. 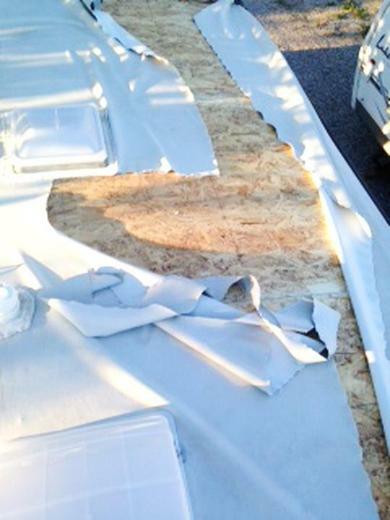 Reminder: The salesperson's statement about the long-term warranty on the roof (claimed to be as long as 12 years) should be set aside and disregarded, since material failure is rare and proof of such failure on a TPO roof is practically impossible to prove. It's all about the RV manufacturer's workmanship! no puffs, no piles of sealant. Sloppy workmanship will lead to major troubles down the road. that there could be a deficiency. Even a slow leak will destroy a roof. A good manufacturer will cover the entire roof with adhesive. 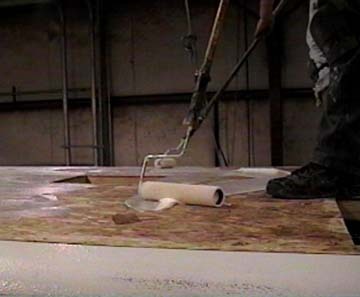 Once the workers spread the glue, the entire roof must be carefully smoothed. A good roof will last you for many years. 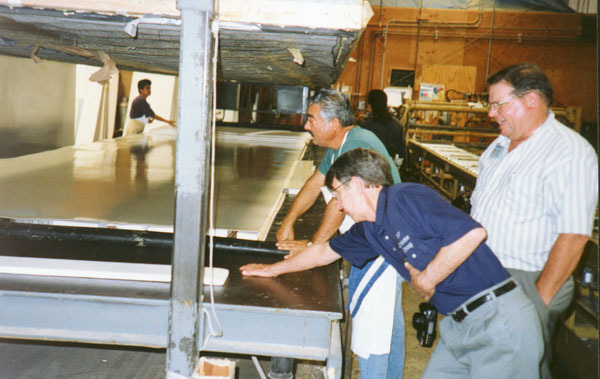 This is me learning about roofs during my many visits to RV manufacturers during the late nineties and early years of this century.